Your custom balloons in New York will be printed and delivered fast. 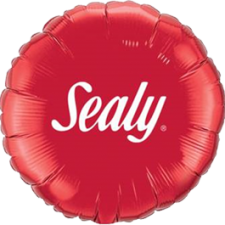 CSA Balloons is New York’s expert balloon imprinter, offering quality customized balloons with your logo or promotional message, printed and delivered fast. We’re reliable and fast. We match Pantone colors and you always review a free proof before we print! Get your quick quote now! CSA Balloons supplies custom printed balloons for some of the biggest brands in the world. The quality of our imprint, fast turnaround and stellar customer service is the reason for all our repeat business. 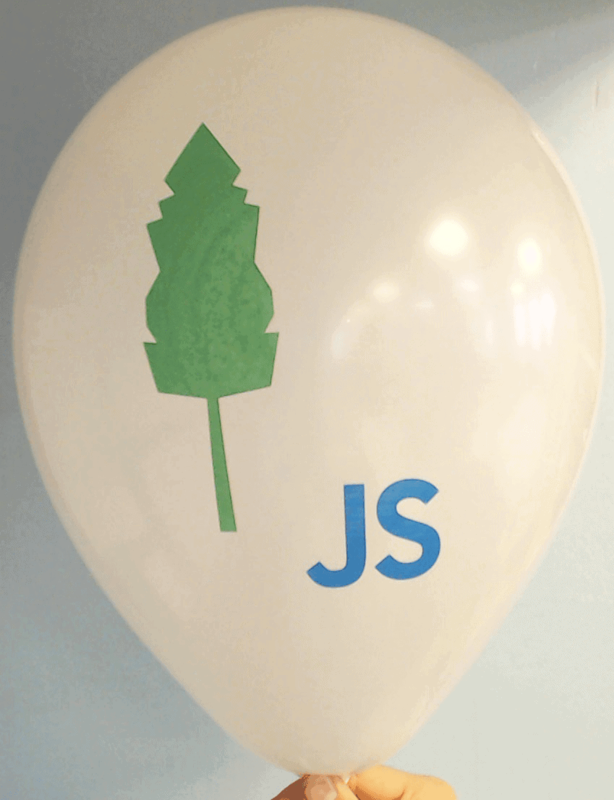 When you order printed balloons from us – you get them fast and you get them right! Free proofs with every order. 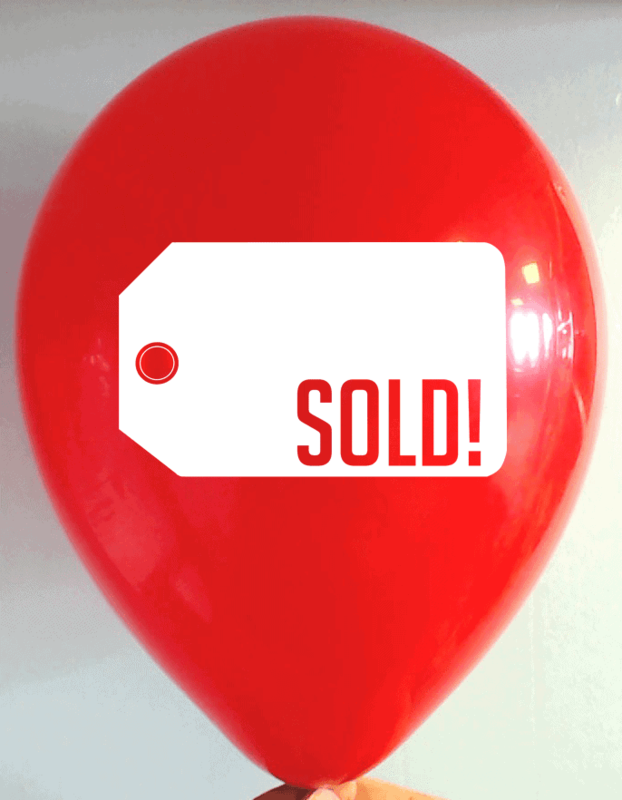 We ship custom printed balloons all across New York state. From Niagara Falls to the Statue of Liberty, our balloons help New York companies promote their events. Call us for a quote today at 1-888-950-7878. Our wide range of choices, the top-quality of our print, and biodegradable latex balloons will help make your event memorable. New Yorkers will catch your messaging coming and going with double sided balloons. Slogans and hashtags on balloons catch attention. Then put your logo on the other side – we can imprint up to 7 inches without losing any definition or clarity. That’s the largest imprint available in the balloon printing industry. Nobody’s going to miss it – and we’ll match the Pantone colors in your brand. Just upload your artwork and get a quick quote. 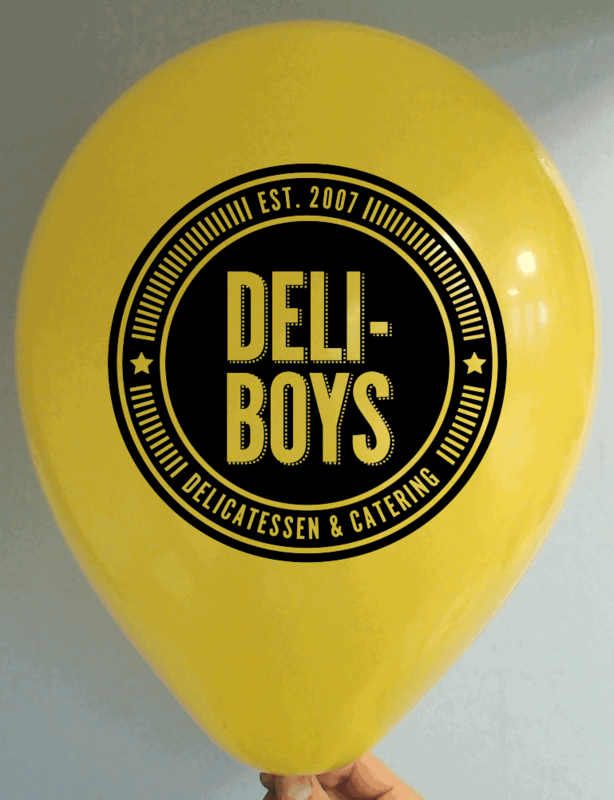 Buffalo or Brooklyn, let’s promote your next event with beautiful, double sided custom printed balloons. New York businesses enjoy our fast turnaround, world class customer service and top quality products. 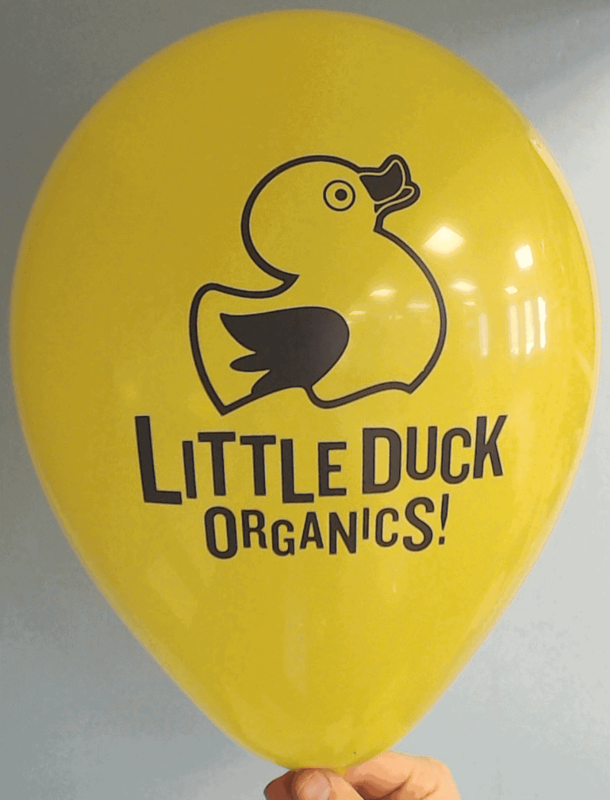 We have a wide selection of natural, biodegradable latex balloons – we can match the Pantone color of your event theme, logo or brand. When you custom print your logo – we’ll add a phone number or website address at no extra cost. 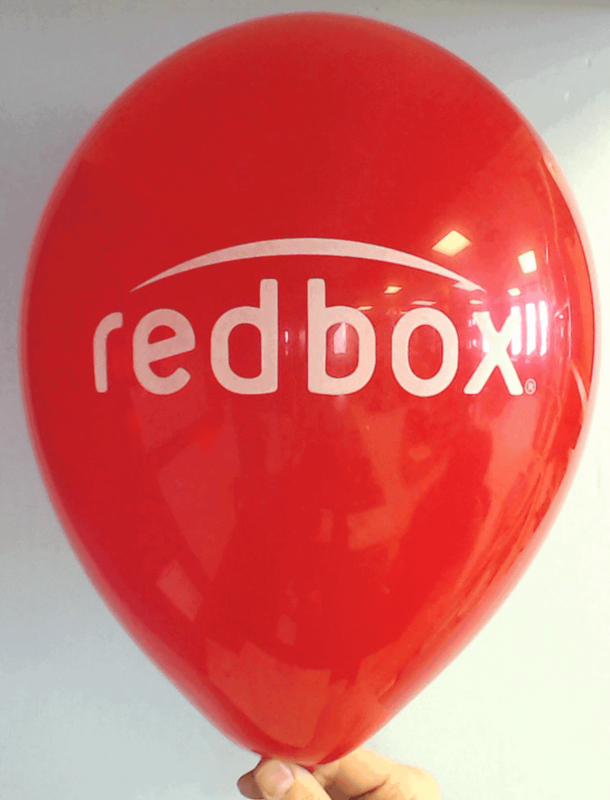 Use our balloons to promote an initiative, sale or upcoming event. 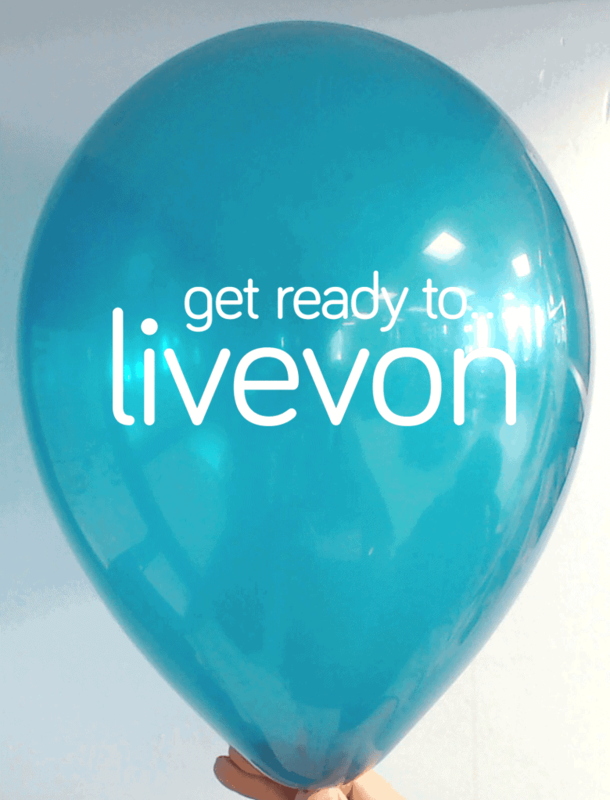 Build balloon arches or pass them out on a string to let your logo hit the streets! Ready to order, New York? Call us right now at 1-888-950-7878. New Yorkers take sports seriously. In the boroughs or upstate, you can promote your business to sports fans be guaranteed a response. Tailgates or sports bars, custom printed balloons in your teams favorite colors with your logo are sure to draw a crowd. Yankee or Mets, Jets or Giants, fans love companies that go all out for their favorite team. It’s a great way to introduce yourself to potential customers. 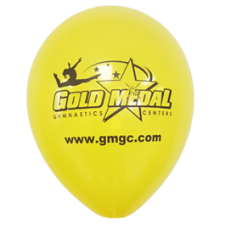 CSA Balloons offers the highest quality custom-printed balloons in New York! Add a slogan, a hashtag, the name or number of a favorite player. Let’s promote your business to a whole new group of fans. Contact us today! Balloons get your location noticed! It’s really that simple. 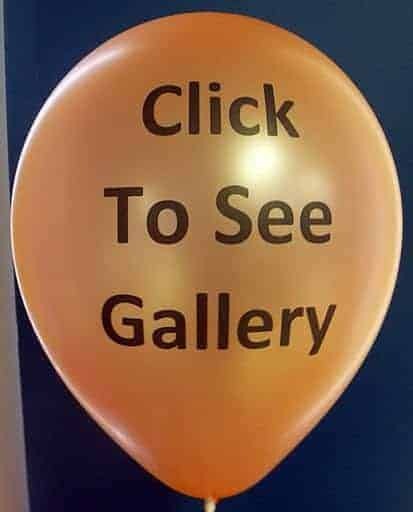 Custom printed balloons grab attention in Manhattan or Long Island, Syracuse or the Adirondacks – we deliver custom printed latex balloons all across New York state. Add drama, color and style to any event! Balloons are cost-effective, guaranteed to get attention and showcase your party or sale in a positive, energetic way. 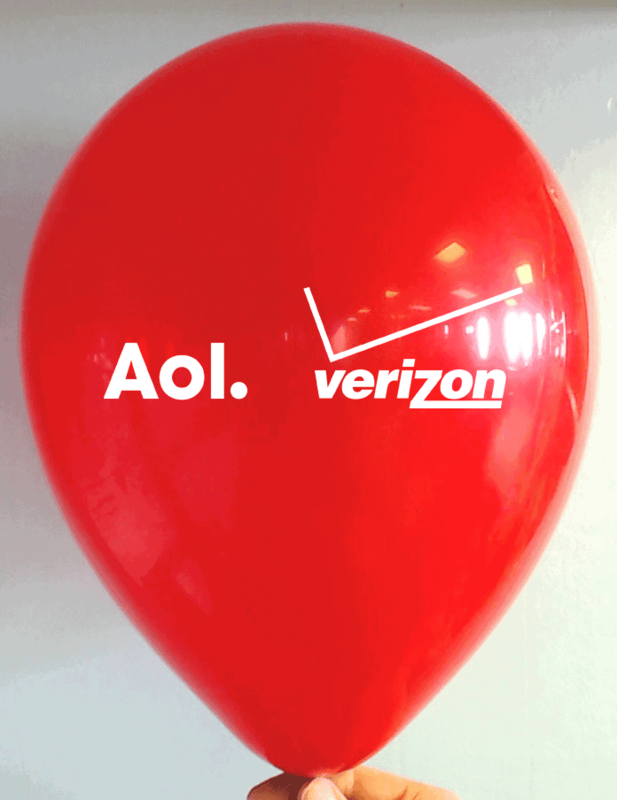 From a campaign to grand opening to a golf tournament – promotional balloons are the way to go. Or natural,latex balloons are biodegradable and eco-friendly too. CSA Balloons is New York’s best partner for custom printed balloons. The print is impeccable and you get free proofs for review. Give us a call at 1-888-950-7878 and let’s get started. 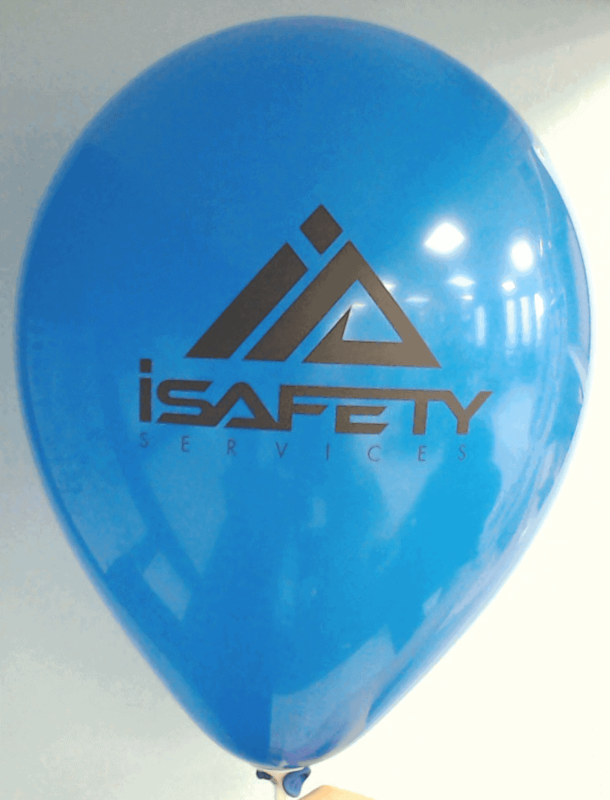 CSA Balloons is the leading custom balloon printer in North America and New York’s source for printed latex balloons. 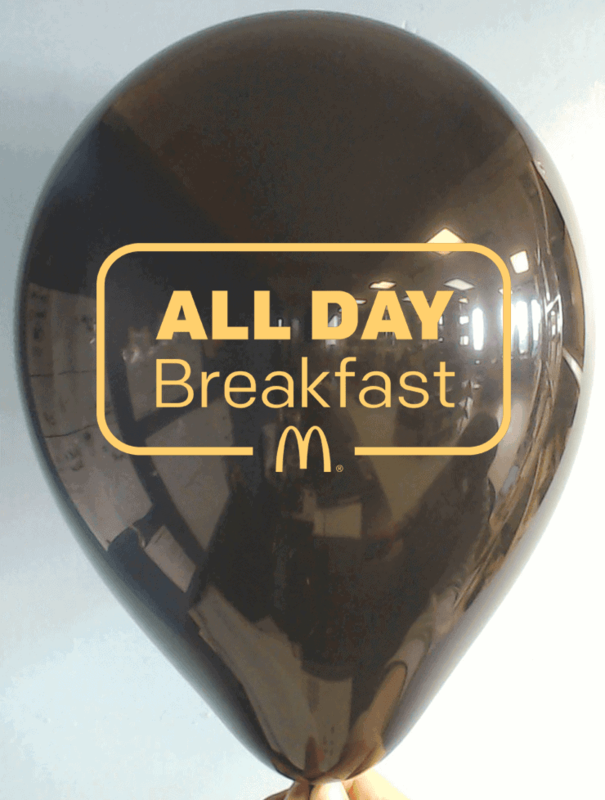 We can produce your logo on up to 20,000 12” latex balloons in one day. Review your free proof and sign off, then your custom balloons are printed, shipped, and delivered anywhere in New York state. We have customers from the Hamptons to Rochester to Binghamton, and everywhere in between. Need help with artwork or ideas? No problem, we have graphic designers on staff! Order custom balloons today. Upload your artwork and get a quick quote. 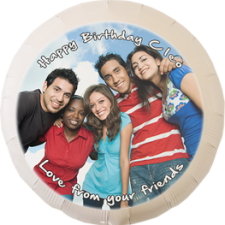 The best custom printed balloons come from CSA Balloons New York. 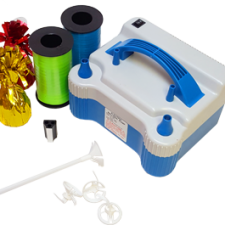 Order your personalized balloons from us and you will benefit from our superior balloon imprinting process with our unique modern equipment. You will receive your quality printed balloons fast in NY, and anywhere in the USA. You will appreciate our service and product quality, and you will love your custom balloons. I've ordered from CSA for two consecutive years for the same event and the process couldn't be simpler and the outcome was exactly what I expected. Great value too. Easy to work with! Excellent product! We needed a next day delivery. We called a few places but no one would do it. Rossella spent most of her day working on our order. She helped with the design and made sure we got our balloons the next day. Incredible service! Great customer service. Balloons arrived one day earlier. The balloons look amazing and are exactly what we were looking for!